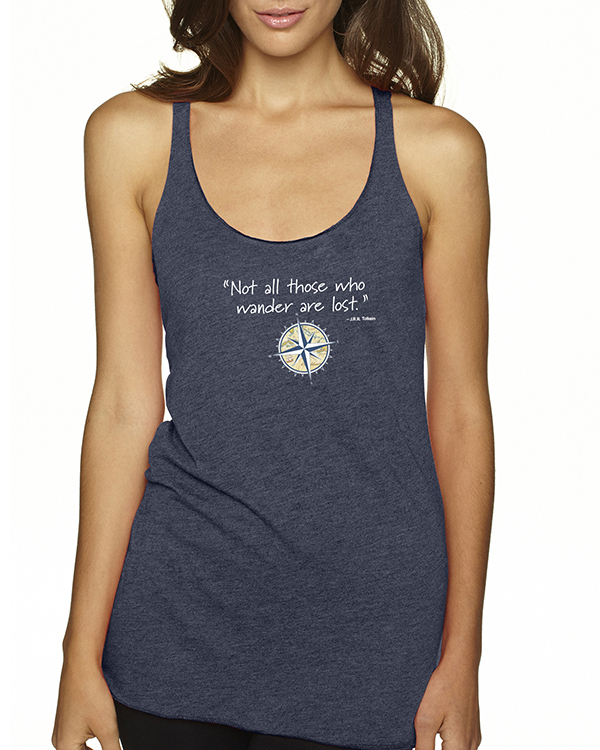 "Not all those who wander are lost" — J.R.R. Tolkein. Our newest design will speak to the wanderer in you. If you or someone you know thrives on traveling, seeing and exploring new places, then this t-shirt will affirm this. A perfect gift for anyone who takes the road less traveled and enjoys the journey! 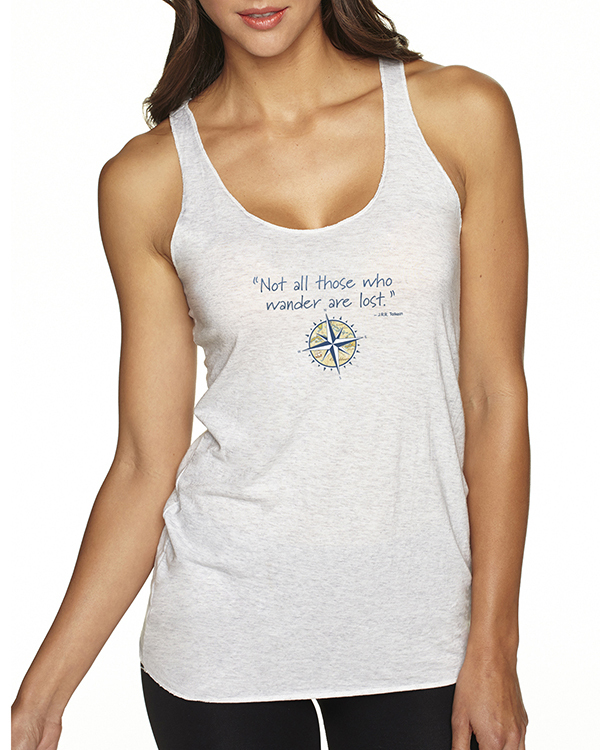 Our new women's racer-back yoga tank top is 4.3 oz, 32-single 50% Poly 25% Combed Ring-Spun Cotton 25% Rayon. 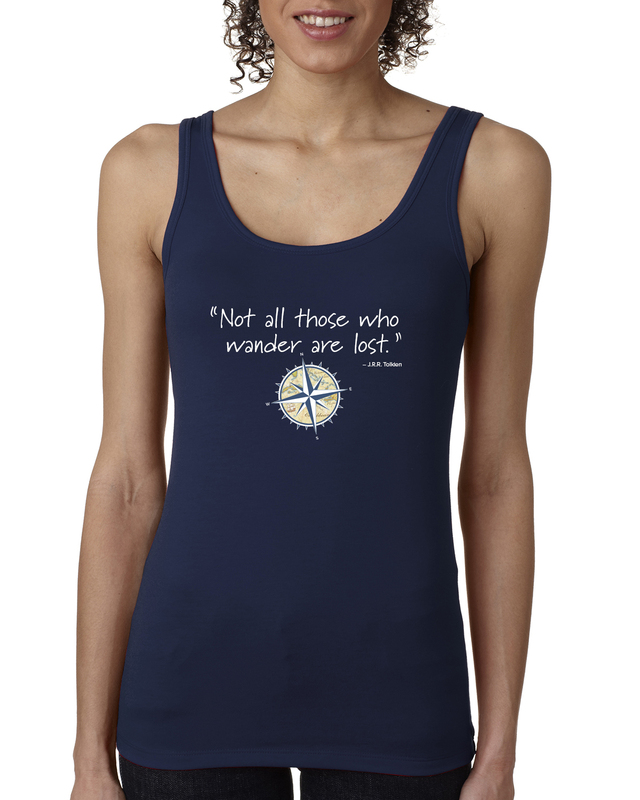 This longer-length tank is both comfortable and flattering. This new style is incredibly soft with a great vintage look. 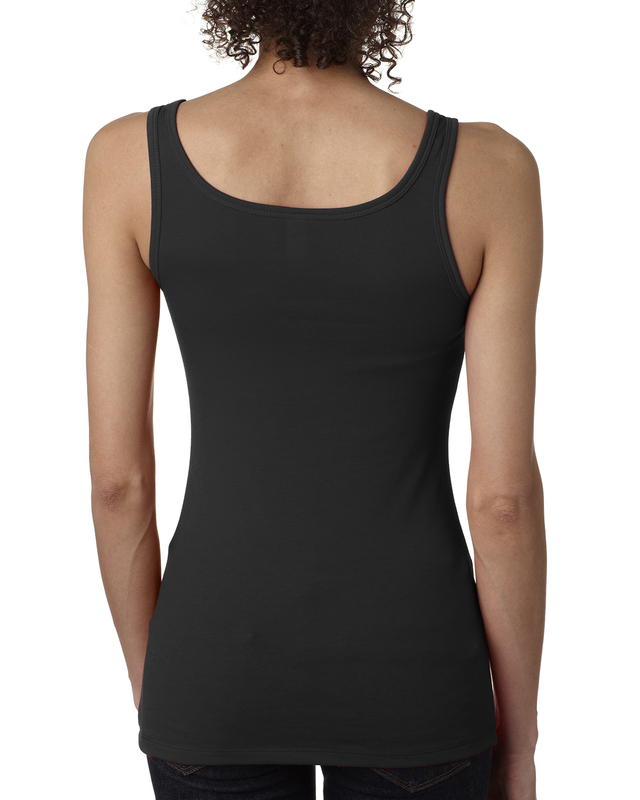 For those who want a more fitted tank, we now have a Spandex Jersey Style. This shirt is 4.3 oz, 57% combed ring-spun cotton, 38% Poly and 5% Spandex. 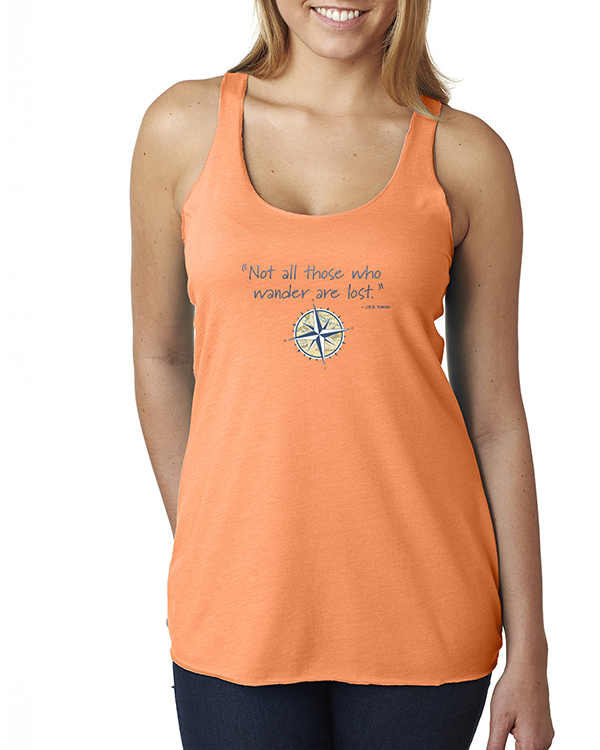 This shirt is so soft, you won't want to take it off! 25.75" 26.375" 27" 27.625" 28.25"
13" 14" 15" 16" 17.5"